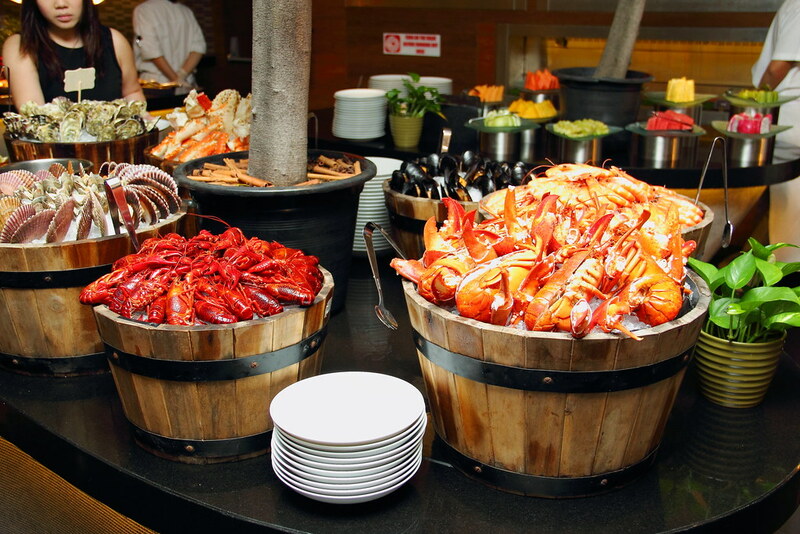 Raise your champagne glass and toast to a bubbly Sunday Champagne Brunch at Hilton Singapore with the all new buffet spread that include live seafood, meat carving and grill, sushi and sashimi, cured meat, cheese, Chinese cooked food, desserts and many more. The whole new Sunday brunch's setup includes a total of eight cooking stations where the chefs will be preparing your order a la minute. 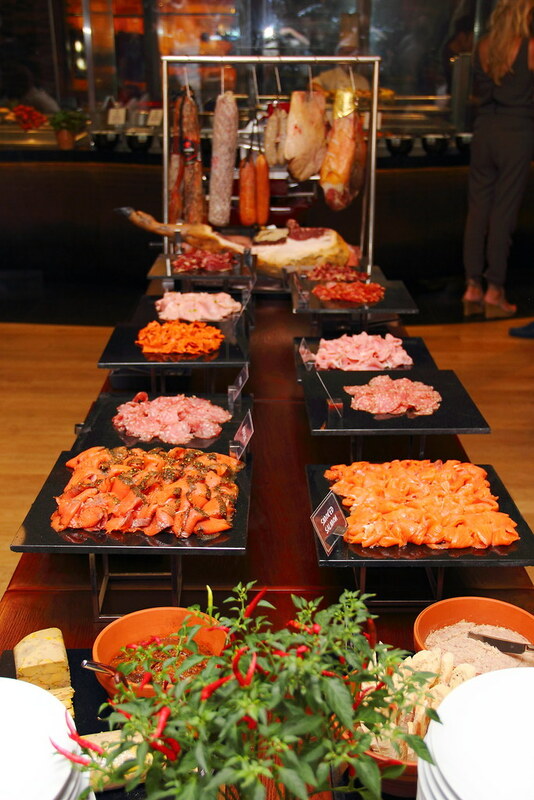 This is probably the biggest buffet with the biggest number of live cooking stations. I was very impressed with the well stocked live seafood station. 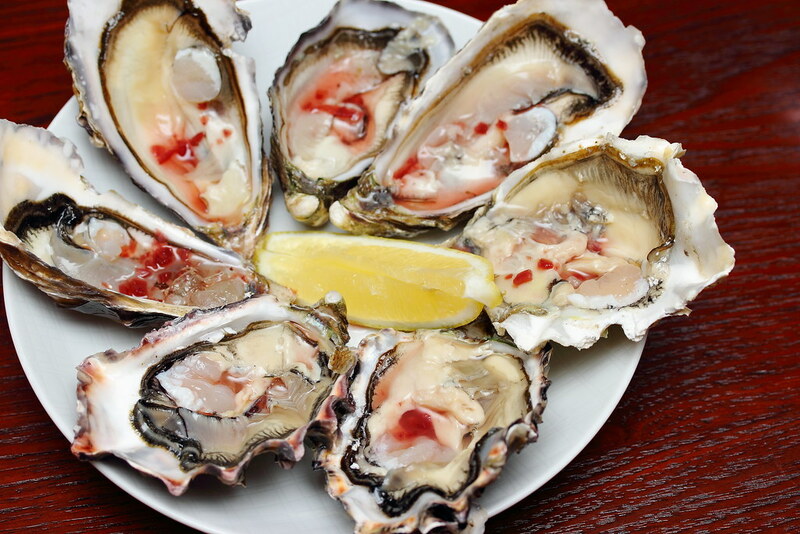 There were many fresh seafood from different parts of the world such as scallops from Australia, maine lobsters from Canada, yabbies from Spain and Oysters from Australia, Canada and France. For those that loves Japanese food, there was also platters of fresh sashimi. 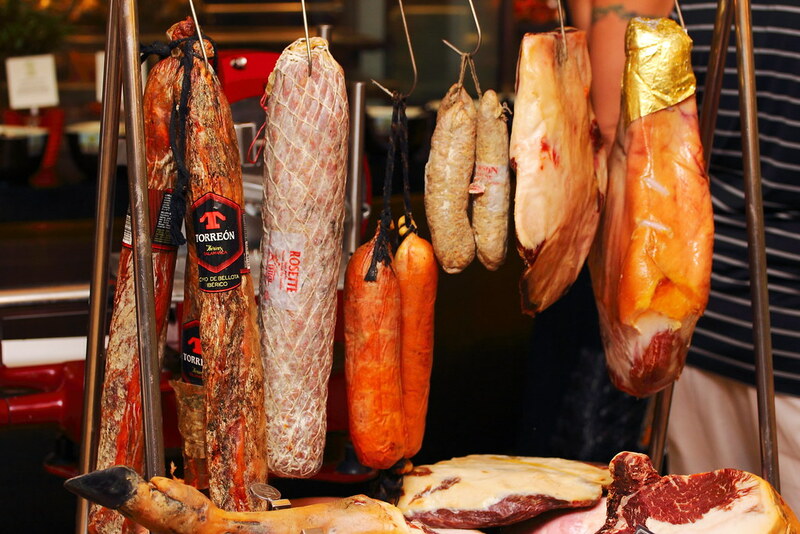 At the smorgasbord station, diners will be spoil of choices with the array of thinly sliced a la minute charuterie of imported whole leg Iberico ham, Lomo Ham and Saucission sec cured meat. 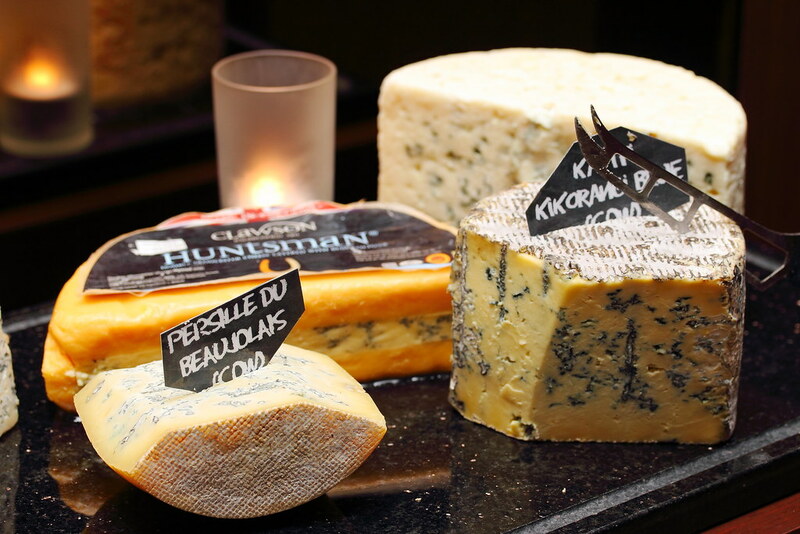 In addition, there were more than 20 types of cheeses specially imported from Italy, France and Switzerland. 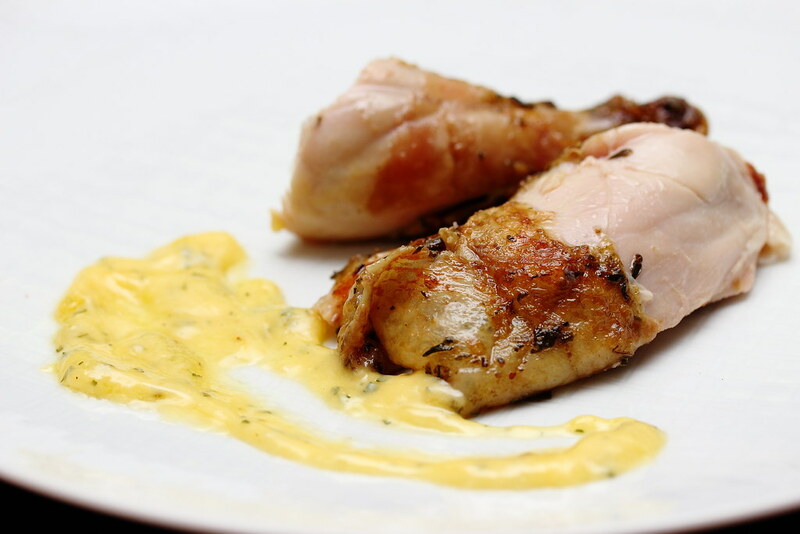 For those that prefers to start on a light note, there is a good variety of appetisers and salads with begin with. 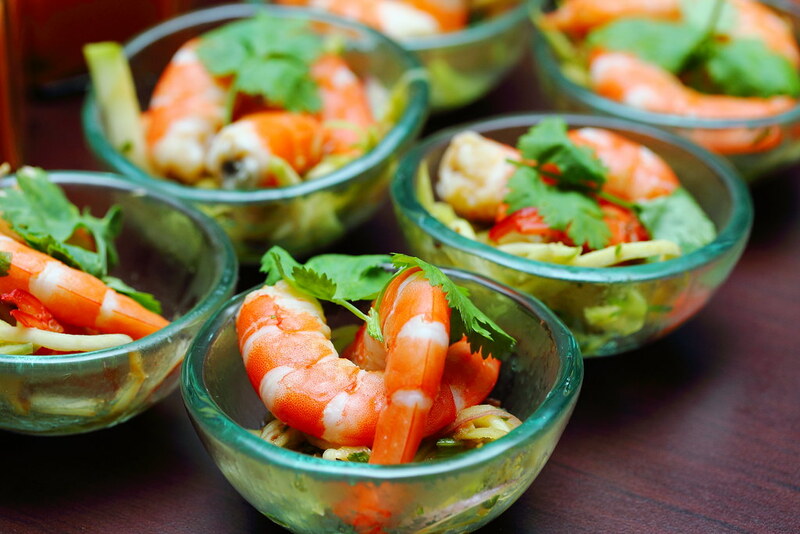 Some of the light and refreshing appetisers on the spread were Tuna Tartare with Avocado Mousse, Tomato Gazpacho, Tiger Prawn with Green Mango and Alaskan Crabmeat with Mango Jelly. 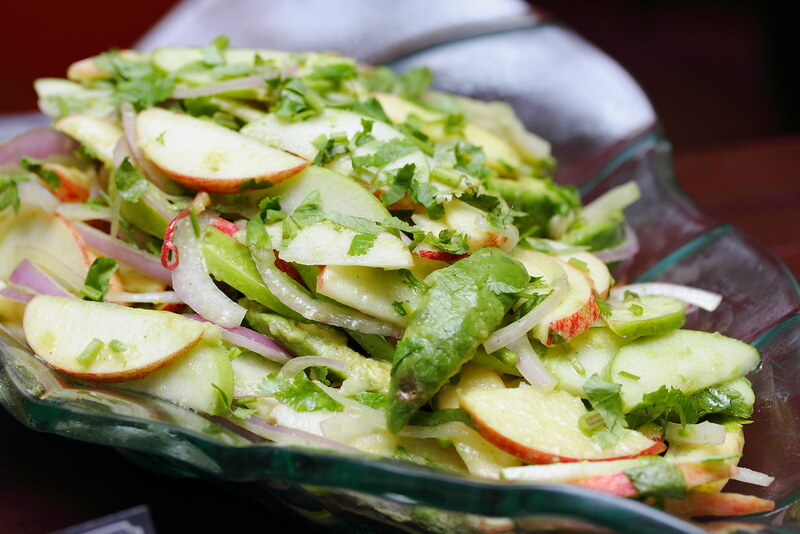 The Apple and Avocado Salad is another item on the spread that is sure to whet up the appetite with its sweet tangy combination. 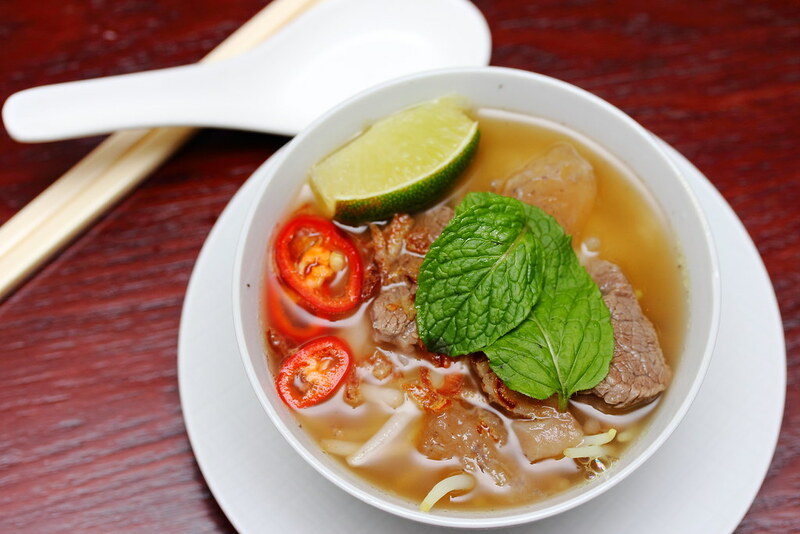 Those that prefers a taste of oriental, there were Dim Sum, Vietnamese Beef Noodle Soup and some Chinese cooked dishes. 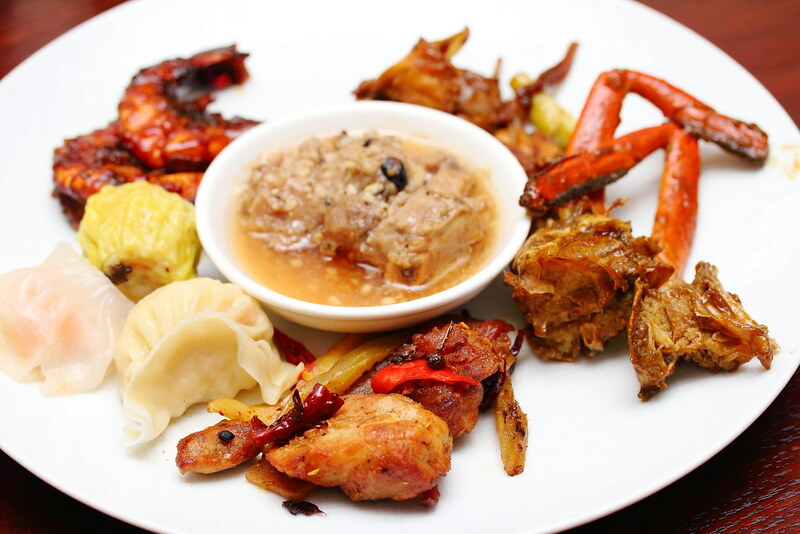 An exotic item on the spread is the Gong Bao Frog Leg which I was rather surprise to see on the menu. Unfortunately I find the execution of the oriental section needs more improvement to match the whole experience. 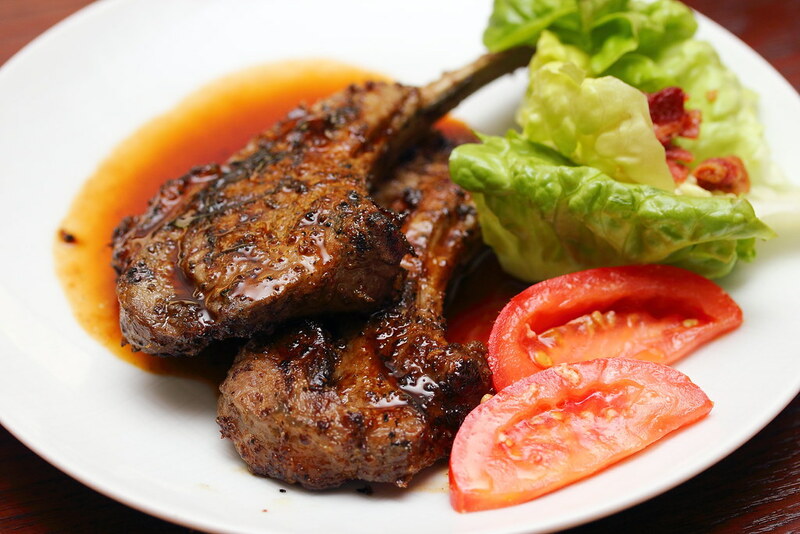 From the carving and charcoal grill section, diners can satiate their appetites with the meaty offerings such as prime rib, honey mustard glazed pork rack, slow frilled herb roasted baby fowl, wagyu flank steaks, lamb chops, beef tenderloins etc. 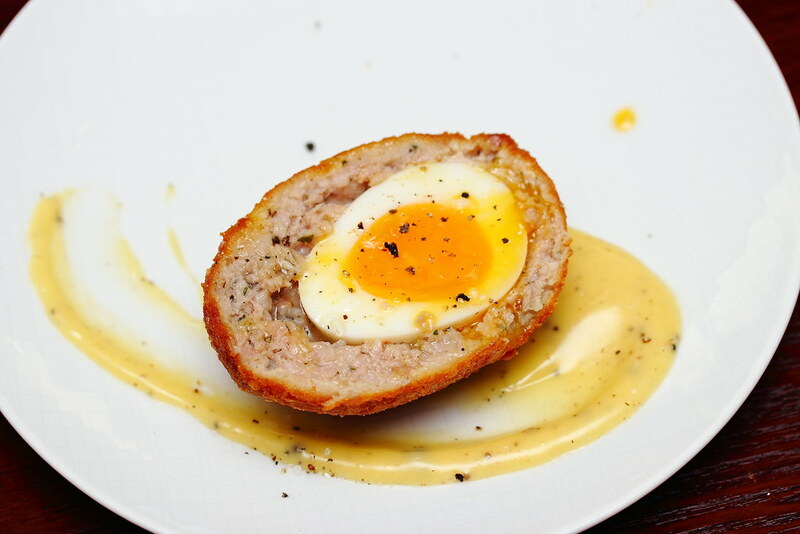 The Scotch Egg with black truffle hollandaise is another item that is not commonly seem in the buffet line. 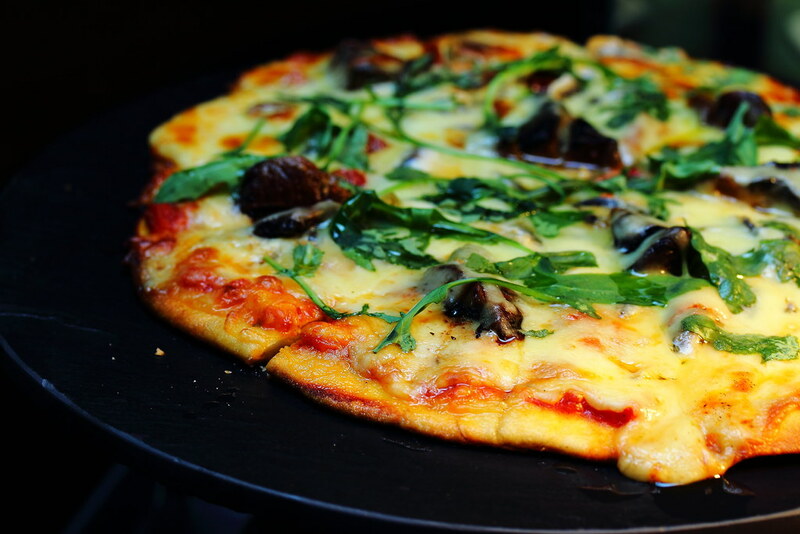 Cooked a la minute, do expect to queue up for a good couple of minutes as it is rather popular with the diners. Unfortunately, I have tried better ones elsewhere. 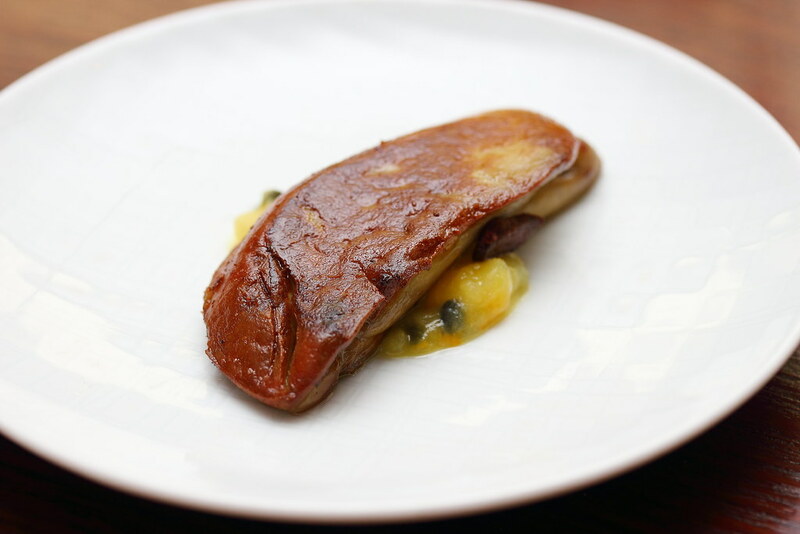 Another specialty dish that is cooked a la minute is Pan Fried Foie Gras with Apple and Passion fruit sauce. The huge piece of creamy liver paired with the fruity sauce is a luxurious enjoyment that you can go back for as many helping as you like. 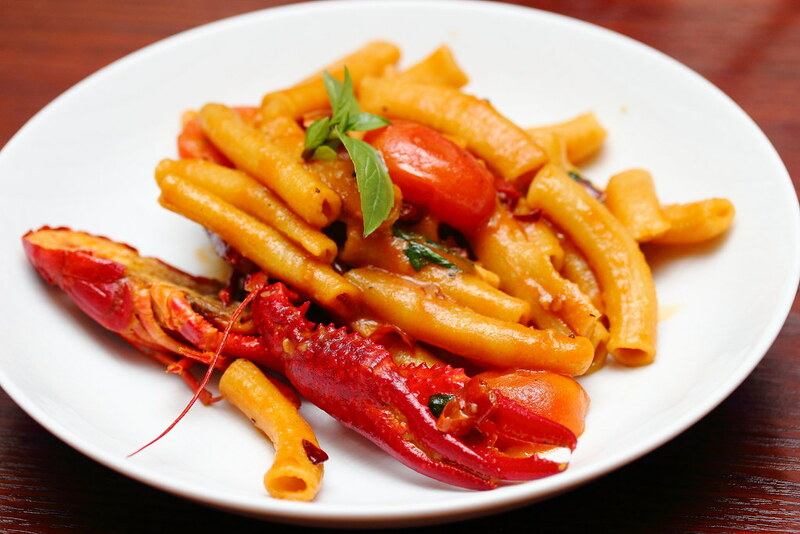 The Pizza and Maccheroni Pasta with Maine Lobster and Yabbies provides a taste of Italian for those that needs some hearty and comforting staple to fill up their stomach which are also prepared at the live station. 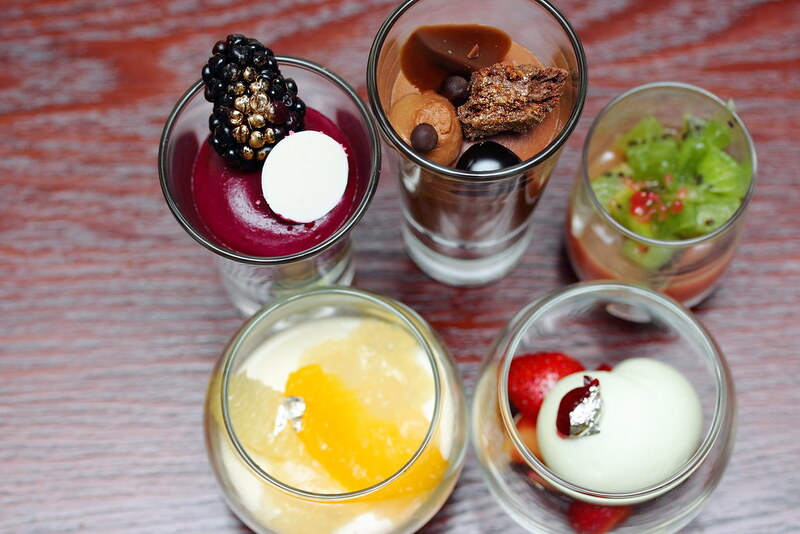 To complete the whole brunch experience, the Sunday Champagne brunch also comes with an eclectic selection of sweet treats. 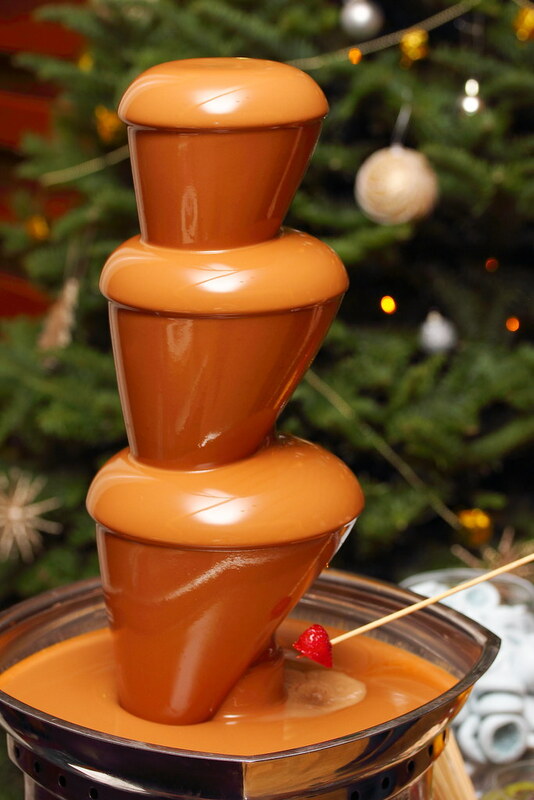 From the luscious caramel hazelnut chocolate fountain to cakes, tarts, macarons, parlines and many more. 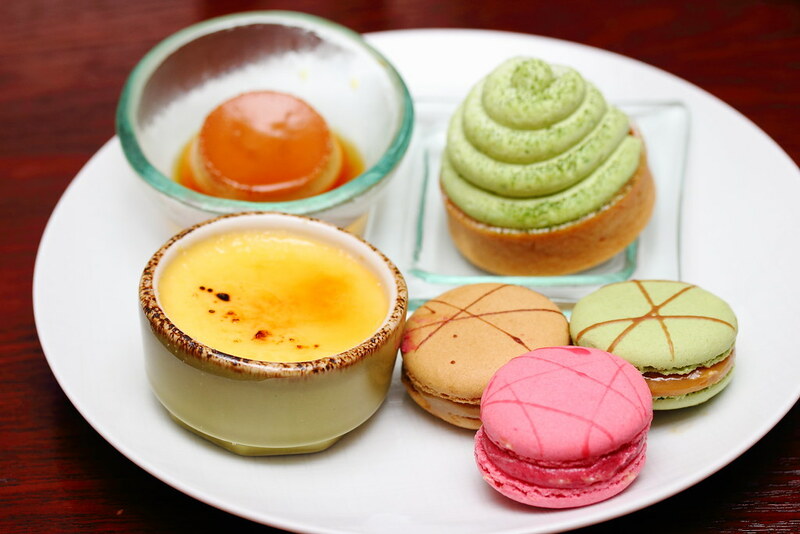 - $39++ per child (aged 5 to 12 years old). Children below the age of 4 dine for free.